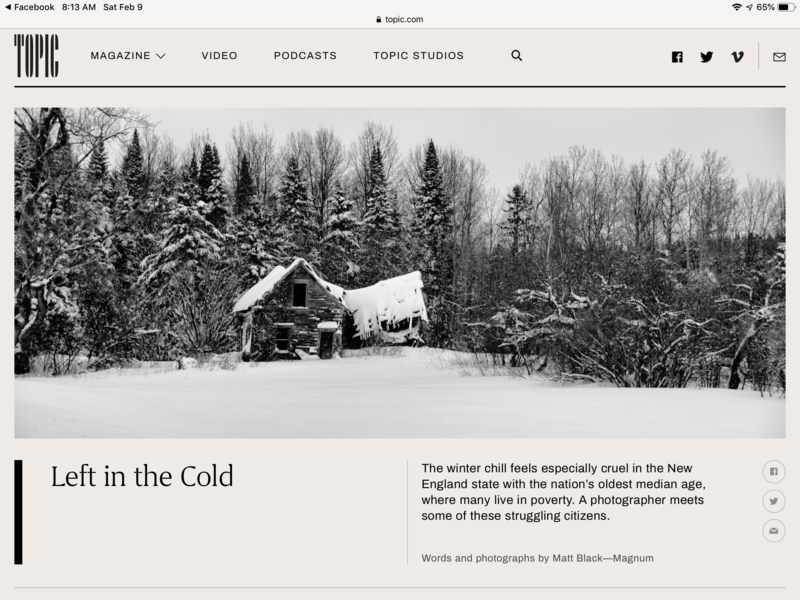 Matt Black has spent the last few years working on his Geography of Poverty project and, last month, spent time in the cold woods of Maine. This is heart-breaking work, the physical and mental isolation of our elders is hard to process. This work – what Roger May would, I think, call Heartwork – is what we need t be doing with our tools, telling the story of those left behind.